The 90B children's table was designed by the Finnish design legend Alvar Aalto. 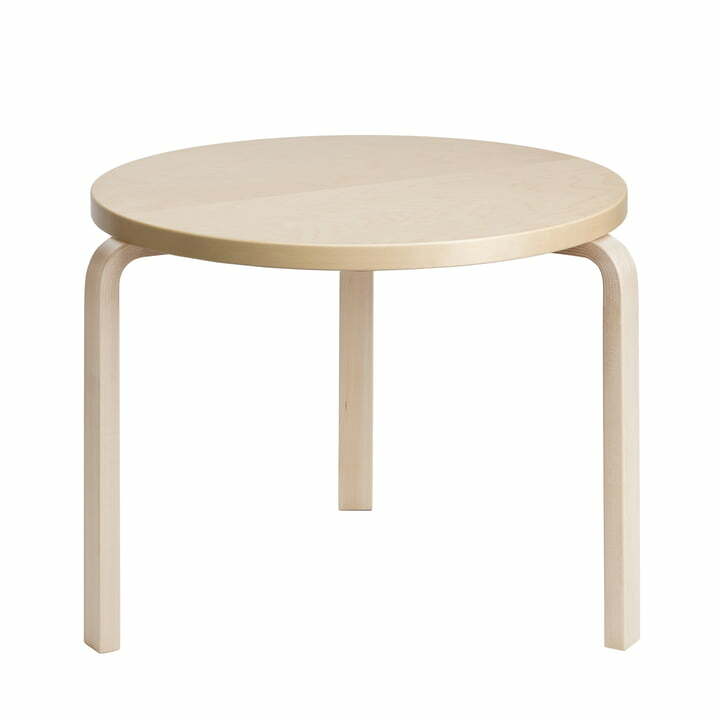 The table has a round surface and L-like feet that end up softly in the table top as well as the famous Aalto stool. The combination of natural materials with clear shapes ensures that many Aalto designs look still modern today, making the Finnish man an icon of Nordic design. Aalto naturally didn't only think about pretty shapes when he designed the 90B table: As architect, the Finnish also thought about the construction and the practice usage. The piece of furniture was initially created for the library in Wyborg, which is why if fulfils practical demands on object solutions. 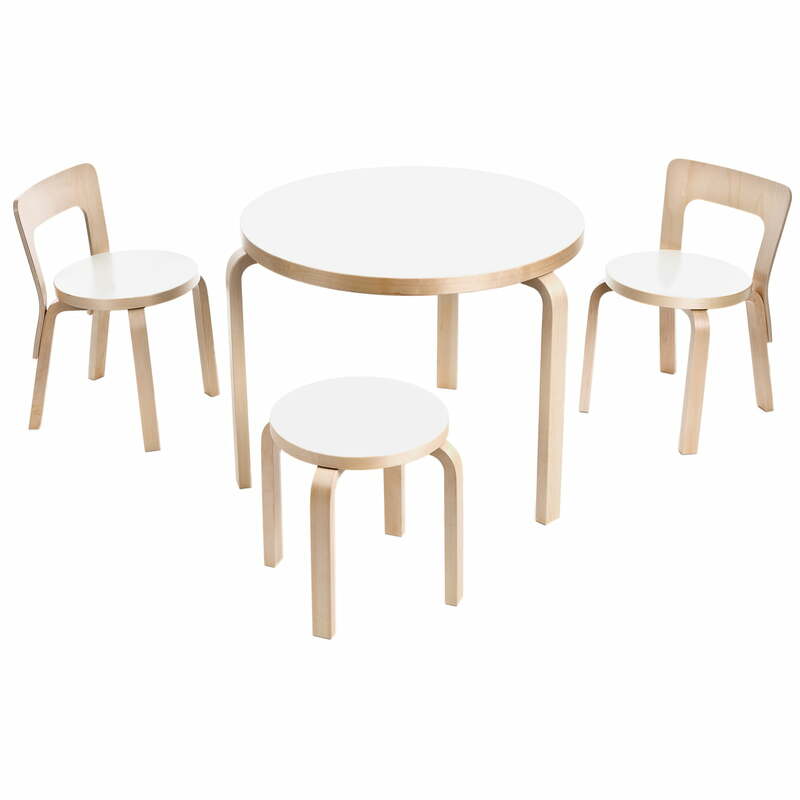 Artek produces the 90B children's table out of lacquered birch veneer. 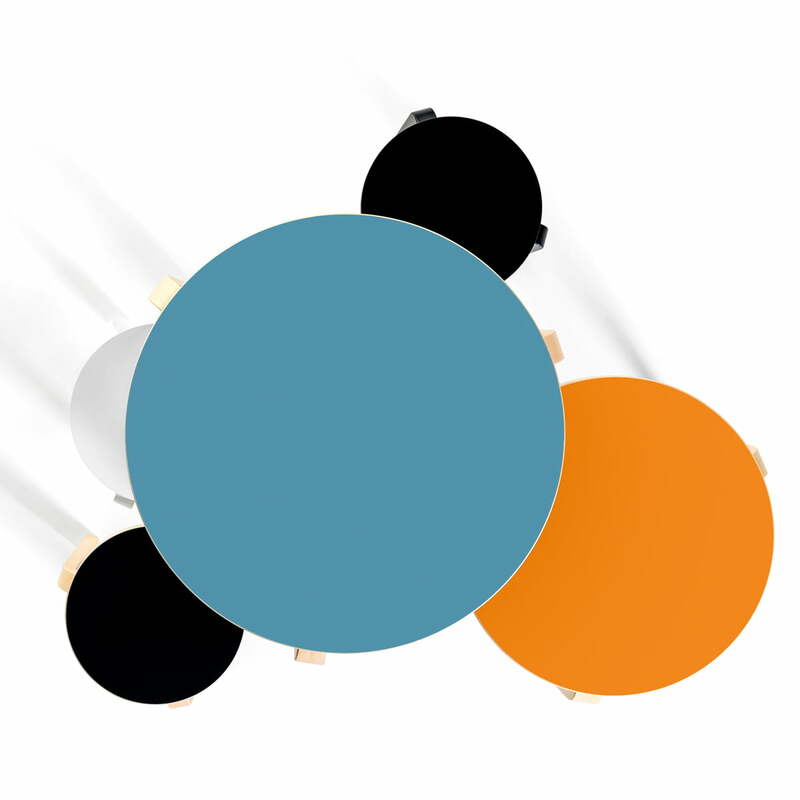 The three-foot table is also available in black, white, orange, blue or with a Mumin décor besides the natural birch edition. The N65 children's chair and the NE60 children's stool especially suit the Artek table, since all of the furniture pieces have Aalto's clear and harmonic handwriting.